Five games remain in the 2018-2019 season for the Boston Bruins. So far Bruins fans have been treated to numerous milestones, hattricks, a winter classic, and much more. 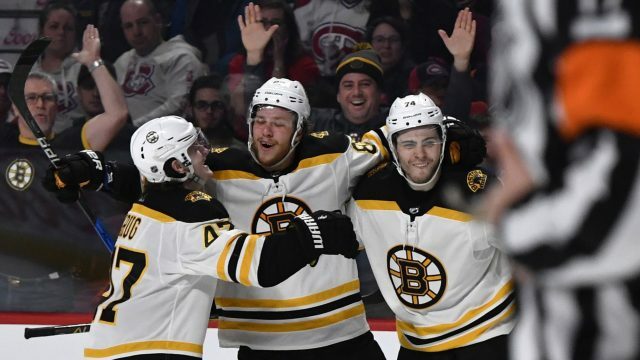 It has definitely been a surprising season, as at the beginning of the season many power rankings had the Bruins finishing either just making a playoff spot, or cracking the top ten. As of right now, they sit second in the NHL. But with five games remaining, it’s time to give out some team-related regular season awards. This one was sort of a no-brainer. The four-time Selke winner is having a career season setting a new high in points (77) and is projected to break his own record of 32 goals in a season all while playing at most 66 games. While points are a factor that determines who receives the Selke award, it is not all that goes into the decision. The Selke is awarded to the forward who displays the most skill in the defensive part of the game. Bergeron has a plus-minus of +26 this season. Basically, his goal differential. His face-off percentage is currently 56.4% overall, 53.7% in the defensive zone. Only one player has played all 78 games this season — David Krejci. But the second most games played goes to Brad Marchand with 77. Marchand has tallied 34 goals and 63 assists for 97 points. With five games remaining in the season, the possibility of Marchand reaching and possibly passing 100 points on the season is high — all while not missing games due to a suspension. For Marchand, this season has allowed him to grow as a player and prove that he is more than just a pest on the ice. He is finally being recognized not for his antics, but for the impact he has had this season. His leadership continues to excel on the ice and in the locker room, and he is proving to be one of today’s elite wingers in the game. The Bruins need Marchand and they need him to stay out of the penalty box. In 43 games started, Rask has posted a 26-12-5 record allowing just 102 goals on 1,190 shots against. He has a 2.42 GAA and a .915 save percentage. At the beginning of the season, there were questions on how well Rask would perform considering the Bruins did end up bringing in Halak who was once a starting goaltender himself. But, it appears that Rask has taken this opportunity and ran with it. When it came to deciding who would be this season’s breakout player, it was hard to decide between Chris Wagner and Brandon Carlo. Wagner was brought to Boston at the trade deadline last year. The forward was a free agent having left the Islanders. Despite having only recorded 18 points on the season, those 18 points are a season record for Wagner. The Walpole native has earned himself the nickname “Mayor of Walpole” as Wagner has proved to be a form of secondary scoring that the Bruins lacked heavily last season. Not only can does he have a sense of drive for the net, but Wagner has shown that he can the lay body as well. The reason Carlo is a runner-up is that while Carlo has quietly performed one of his best seasons in the NHL yet (even though he has only been in the NHL for three seasons), he arguably has not made as much an impact as Wagner has. He has contributed, but Wagner has proved to be more involved. David Krejci has played every game this season, something he has only done two other times (2015-2016 and 2008-2009). The 7th player award is given out by NESN to the Boston Bruin who “performed above and beyond expectations” during the season. Ever since Milan Lucic left Boston, Krejci has struggled to find a reliable winger. It appears that Jake DeBrusk has taken on that role. But even at times when DeBrusk was on a cold streak, Krejci continued to perform to what has arguably been one of his best seasons since 2013. He may not reach his career high in points (73), but the center will come close as he sits with 67. There is no doubt who has the best beard on the team this season. 17 different players have sustained an injury of some sort this season that left them out of the lineup. Brandon Carlo, Zdeno Chara, Patrice Bergeron, Kevan Miller, Charlie McAvoy, Tuukka Rask, David Pastrnak, Matt Grzelcyk, Sean Kuraly, John Moore, Marcus Johansson, Jake DeBrusk, Brad Marchand, Joakim Nordstrom, Peter Cehlarik, Urho Vaakanainen, and Torey Krug were all sidelined at some point. So, the most injured? The team. Brad Marchand is known for being a pest on the ice, and recently he took his antics to Instagram. But, Marchand has always been active on Twitter and it appears his feud with teammate Torey Krug has really picked up this season. Torey Krug has also been active on Twitter, just not as much as Marchand. But his tweets when he does decide to write some are just as good. On March 23, MacKenzie Weeger of the Florida Panthers decided to challenge Noel Acciari. Well, just watch how that went. The runner-up would definitely by when Evander Kane decided to take on Zdeno Chara on Feb. 26 only to regret his decision about halfway through. Kane can be seen ducking out of the way and not exchanging any fists with Chara. 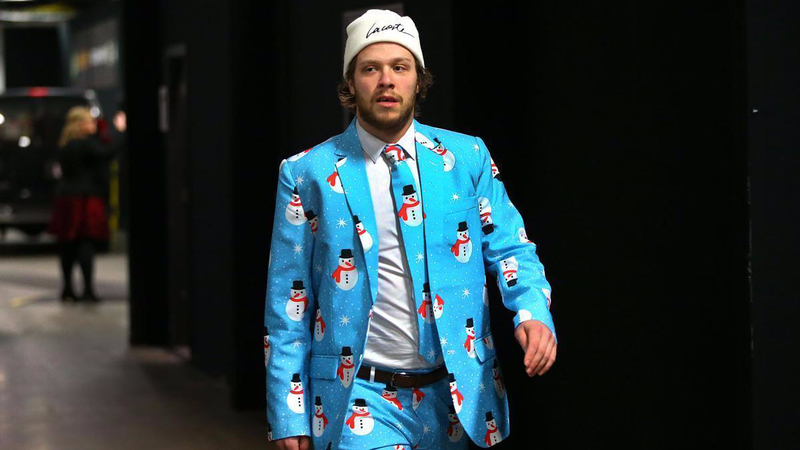 While it was pretty cool to see the Bruins deck-out in Peaky Blinders attire for the Winter Classic, no one can top David Pastrnak and his snowman suit he wore around the winter holidays.